For Joe Baker, a Tennessee-based attorney who was arguably one of the first people to put legal moonshine on the map in recent history, the tradition was and is a big part of the modern business. “We never considered calling it anything other than moonshine, and we never considered putting it in anything other than a mason jar,” said Baker, founder and owner of Ole Smoky Tennessee Moonshine. It’s located in Gatlinburg, Tennessee, a city that attracts about 11 million visitors each year, according to the Gatlinburg Convention and Visitors Bureau. 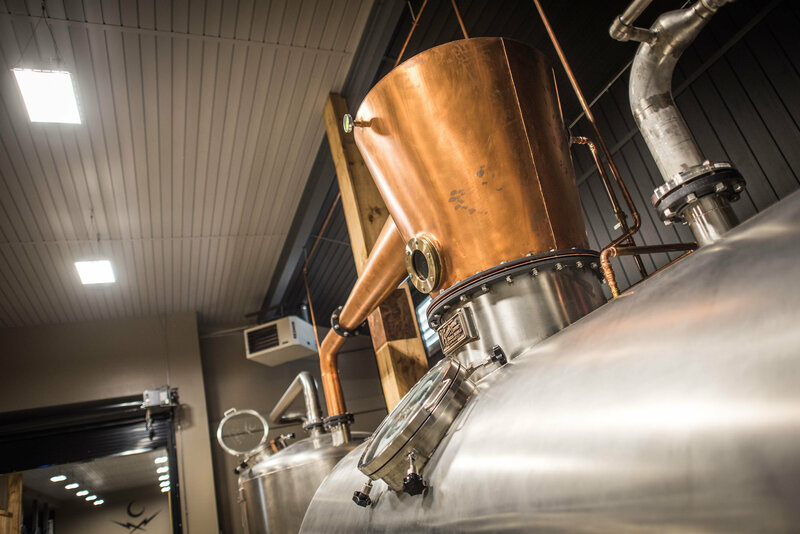 Economic times were rough when the distillery opened in 2010, and now that moonshine is legally providing jobs and stability for people in the area, it’s all coming full circle. Farmers set up stills to feed their families hundreds of years ago, and the industry is now a contributing driver of tourism revenue. It all started in 2009 when the state government loosened the liquor-distilling laws in Tennessee, making it legal to open a distillery in more counties than just the couple that are home to the big guys like Jack Daniel’s and George Dickel. According to Baker, nobody in Tennessee (or anyone else, for that matter) was making and distributing the clear old-timey hooch legally. Six years after he opened Ole Smoky, dozens of distilleries in the southeast have followed suit, including several others in eastern Tennessee. Moore noted that on a recent drive through the area he saw four or five billboards advertising moonshine tastings, and some of the newer players include Sugarlands Distilling Company in Gatlinburg, Old Forge Distillery in Pigeon Forge, and East Tennessee Distillery and Roberson’s Tennessee MelloMoon Shine, both in Piney Flats. It’s competition, of course, but Baker welcomes it. “I love to see that there’s so much interest in that aspect of our mountain heritage,” he said. Like breweries and wineries, distilleries with tasting rooms are becoming travel destinations, and their proximity to one another make it easy for visitors to map out a route and make their way to several tasting rooms in one trip (with the aid of a designated driver of course). The business of making and distributing moonshine has come a long way since the days of dodging the law with hidden stills and fast cars, but even now there still exists a stigma and some legal ambiguity around the stuff. And in some areas, it’s not ambiguous at all–it’s still straight up illegal. Kerry Underwood was driving to work one morning in 2013 when the idea came to him: Why not open a (legal) distillery in his hometown of Floyd, Virginia, and make moonshine the way they did in the good ol’ days (minus the federal agents and car chases)? Underwood’s wife and business partner were both on board immediately, and they gained an overwhelming amount of local support for the idea. There was just one small problem: Liquor by the drink was still illegal in Floyd. Which meant the law would have to change for a distillery and tasting room to open. The process involved gathering signatures on a petition and getting it on the ballot as a referendum in November 2015. Underwood said there was some “kickback from some of the local churches,” but for the most part people were in favor–after all, a local distillery would create jobs and bring in tax revenue, plus it would mean Floyd residents would no longer have to make the 30-minute drive to Christiansburg for a bottle of liquor. Even now that liquor is legal to produce, sell and buy in Floyd, there are still legal hoops that Underwood has to jump through for Five Mile Mountain Distillery. For example the process of getting bottles on ABC store shelves is a lengthy one, so whenever Five Mile Mountain Distillery rolls out a new flavor or a special edition moonshine, chances are it won’t end up in stores, at least not for a while. The good news is, the distillery’s tasting room recently opened for business. Under Virginia Alcoholic Beverage Control laws, distillery tasting rooms are considered ABC stores, which means even if he can’t distribute it in stores around the state, Underwood can sell anything he makes within his own tasting room, either by the individual sample or by the bottle. And the laws around hard liquor are changing all the time. In July of this year, micro-distilleries across the state celebrated when the ABC increased the amount of liquor permitted in a tasting per customer from one ounce to three ounces, which can be served straight or in a mixed drink. Because he’s playing by the rules, the culture around it isn’t what it used to be. Though maybe the good ol’ days aren’t quite over yet. “We’re the first legal moonshine in Floyd, but that doesn’t mean it hasn’t continued to be made up here,” Underwood said. And apparently that’s old news. When Moore was asked if moonshine is still being made illegally in Virginia, he laughed. Apparently, the “conspiracy trial of 1935” wasn’t enough to deter Franklin residents from continuing to make the illegal hooch. According to the Blue Ridge Institute, over the course of about 10 years during Prohibition, dozens of people involved in bootlegging–including distillers, runners and government officials–were arrested and taken to a lengthy trial. Ultimately 31 people were found guilty, 13 of whom received jail sentences. Even now, as owners of the legal distilleries play nicely, obtain permits and follow ABC regulations, locals still talk in hushed, reverent tones about the families tucked away in the mountains, churning out gallon after gallon of the illegal stuff. And even now, the raids continue. In March 2014, ABC officers confiscated 150 gallons of “untaxed liquor” and and arrested five men in Wirtz, Virginia. An Albemarle County home holding 65 gallons of moonshine and a stock of weapons was busted in February 2015. 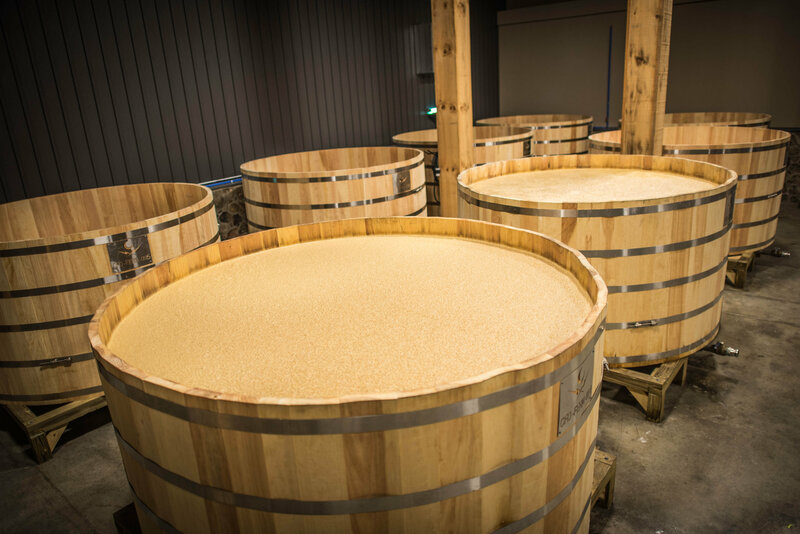 And in July of this year, a man in Johnston City, North Carolina was charged after officials found 4,402 gallons of mash and 143 gallons of moonshine in his home. Seems all they’re missing are the fast cars.